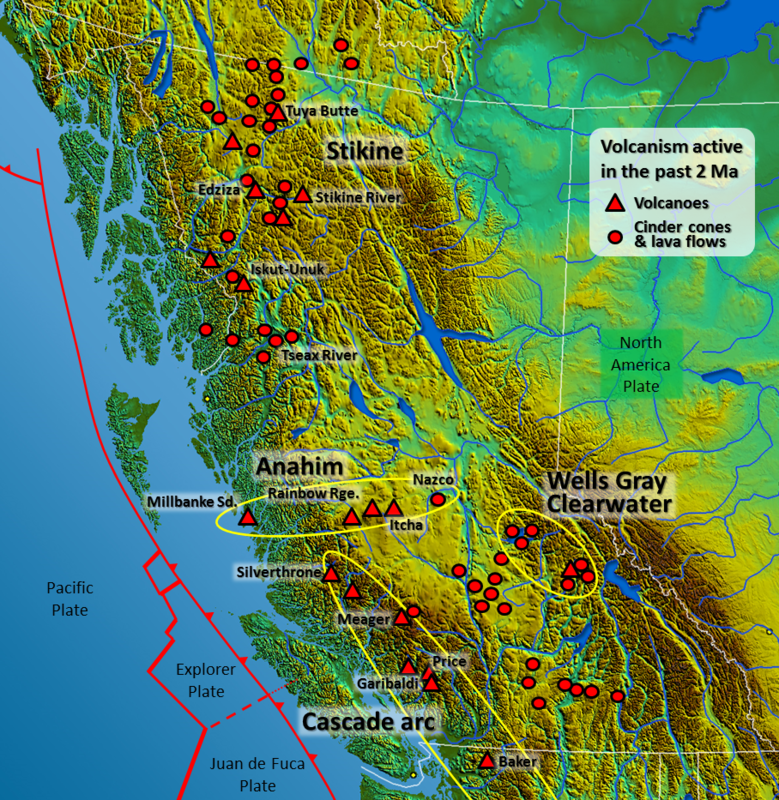 Southwestern British Columbia is at the northern end of the Juan de Fuca (Cascadia) subduction zone, and the volcanism there is related to magma generation by flux melting in the upper mantle above the subducting plate. 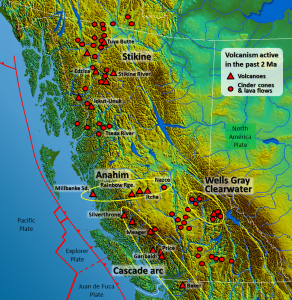 In general, there has been a much lower rate and volume of volcanism in the B.C. part of this belt than in the U.S. part. 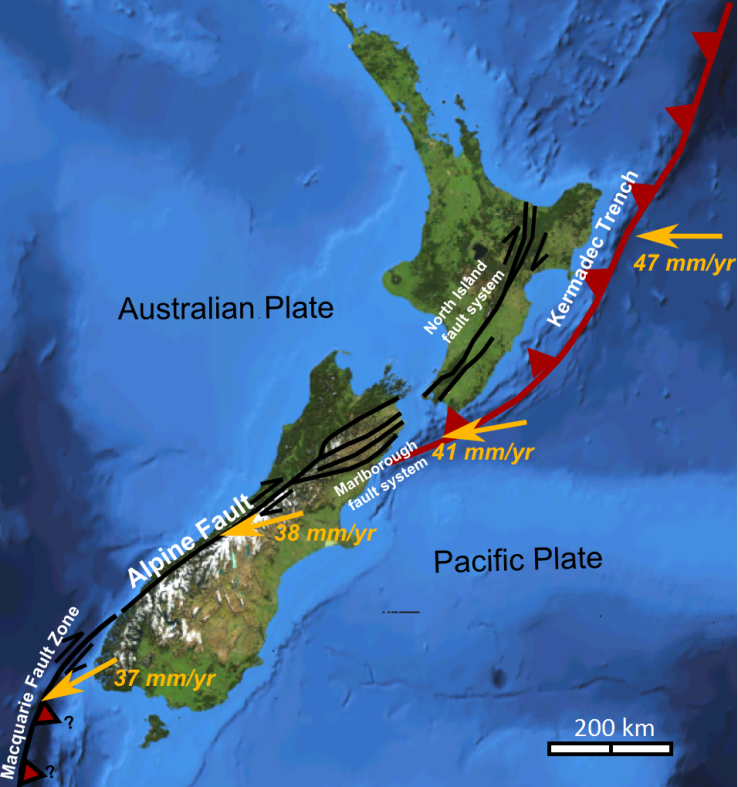 One reason for this is that the northern part of the Juan de Fuca Plate (i.e., the Explorer Plate) is either not subducting, or is subducting at a slower rate than the rest of the plate. 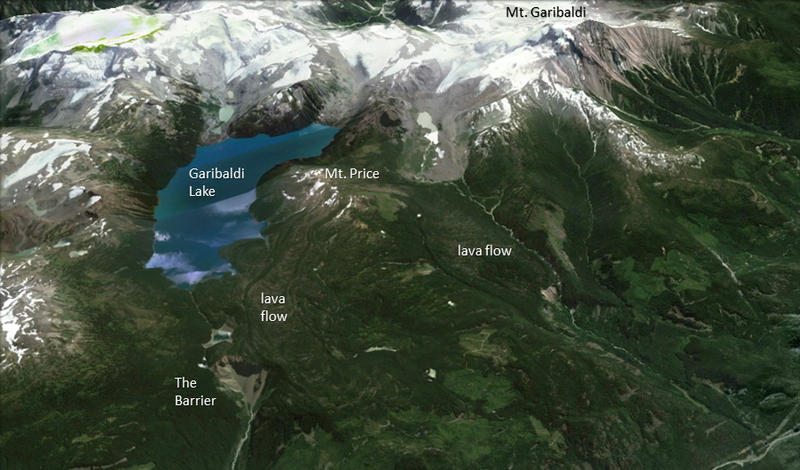 There are several volcanic centres in the Garibaldi Volcanic Belt: the Garibaldi centre (including Mt. Garibaldi and the Black Tusk-Mt. Price area adjacent to Garibaldi Lake (Figures 4.1 and 4.2), Mt. Cayley, and Mt. Meager (Figure 4.25). The most recent volcanic activity in this area was at Mt. Meager. Approximately 2,400 years ago, an explosive eruption of about the same magnitude as the 1980 Mt. St. Helens eruption took place at Mt. Meager. Ash spread as far east as Alberta. There was also significant eruptive activity at Mts. Price and Garibaldi approximately 12,000 and 10,000 years ago during the last glaciation; in both cases, lava and tephra built up against glacial ice in the adjacent valley (Figure 4.29). The Table in Figure 4.2 at the beginning of this chapter is a tuya, a volcano that formed beneath glacial ice and had its top eroded by the lake that formed around it in the ice. The Rainbow Range, which formed at approximately 8 Ma, is the largest of these older volcanoes. It has a diameter of about 30 km and an elevation of 2,495 m (Figure 4.30). The name “Rainbow” refers to the bright colours displayed by some of the volcanic rocks as they weather. Figure 4.30 Rainbow Range, Chilcotin Plateau, B.C. (http://upload.wikimedia.org/wikipedia/commons/f/fd/Rainbow_Range_Colors.jpg). The Mount Edziza Volcanic Field near the Stikine River is a large area of lava flows, sulphurous ridges, and cinder cones. The most recent eruption in this area was about 1,000 years ago. While most of the other volcanism in the Edziza region is mafic and involves lava flows and cinder cones, Mt. Edziza itself (Figure 4.31) is a composite volcano with rock compositions ranging from rhyolite to basalt. A possible explanation for the presence of composite volcanism in an area dominated by mafic flows and cinder cones is that there is a magma chamber beneath this area, within which magma differentiation is taking place. 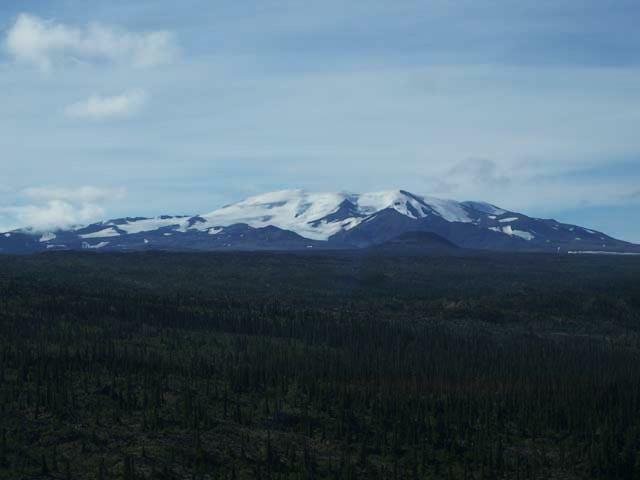 Figure 4.31 Mount Edziza, in the Stikine area, B.C., with Eve Cone in the foreground. (http://upload.wikimedia.org/wikipedia/commons/5/54/Mount_Edziza%2C_British_Columbia.jpg). 4.6 Volcanoes in British Columbia by Steven Earle is licensed under a Creative Commons Attribution 4.0 International License, except where otherwise noted.